Rolls Battery is pleased to announce the addition of a new 4500 Series 2 Volt L-16 model to the flooded deep cycle Renewable Energy & Marine line-ups. Although market issues related to the anti-dumping and countervailing policy has been temporarily put to an end, the discussion focus among the business world during this year's exhibition still be on the direct of government policies and products. With an estimated investment of RMB 1.2 billion (US$194.8million), Clenergy and CGN Solar Energy will set up a local project company for the new project. The agreement envisions two sites, with 18MW of production in Jinniu Town and 100MW in Daying Town. The first phases of both projects are expected to enter early production in 2014. Clenergy has announced the relocation of its American headquarters to San Diego, California with new regional director of operations Mr Alan Ropers. 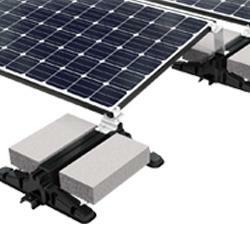 Clenergy America will focusses only Ground Mounting Solutions and Ballasted Mounting Solutions. New compact energy storage units offer market leading performance and safety solutions that are designed specifically for residential and light commercial markets. Progress Solar Solutions™, LLC the pioneers, market-share leader and manufacturer of Progress Solar™ and Progress Solar/Wind™ Light Towers once again expands to offer two New series of products, the Progress Solar/Hybrid-Ready™ and Progress Solar/Hybrid™ Light Towers. All models are proudly manufactured in the USA (patents pending). With the special cell connectors the new modules offer an additional increase in performance. New York consumers to receive fair credit on their utility bills for rooftop solar and other small-scale renewables that power their own electricity. SEIA and the BlueGreen Alliance will collaborate on communication efforts, events, policy, and research activities promoting the growth of solar energy markets and jobs throughout the nation.